Turkey is trying desperately to halt a collapse in its currency that could trigger an economic crisis just as the country prepares to vote in an election. The lira has plunged about 20% against the US dollar since the start of the year, hurt by a broader move by investors to switch money out of emerging markets and into the United States. But the currency crisis escalated rapidly earlier this month after Turkish President Recep Tayyip Erdogan indicated he wanted to take control of setting interest rates, which he described as "the mother and father of all evil." As investors stampeded out of the lira in response, driving it to a record low of about 20 US cents, the Turkish central bank on Wednesday announced an emergency hike in interest rates to 16.5% from 13.5%. After a modest bounce following the rate hike, the lira fell again. Experts say there's more pain to come. "We think the ... emergency rate hike was the bare minimum," said Oxford Economics in a research note on Thursday, adding it expected another rate hike to around 19.5% in early June. Inflation was already running around 11% but the plunge in the currency is pushing prices even higher. Residents told CNN they're already feeling the effects of the currency crisis and are having to tighten their belts. "Generally I can see the prices are going up. And that impacts us negatively," Yasemen Atan, a university student, told CNN. The country imports hundreds of billions of dollars worth of goods each year, including cars, clothing and fridges. Those items are getting more expensive by the day. After hiking rates, the central bank said it wanted to achieve a "significant improvement" in the outlook for inflation. Erdogan, who is seeking reelection on June 24, also appeared to back away from his threat to interfere in monetary policy. "Turkey is a country that complies with all free market rules and institutions," he said in an address on Wednesday that was posted online. But experts say the moves were too little, too late. The damage has already been done. "[Erdogan's previous] comments are still fresh in investors' minds and political leaders will need to ease concerns that monetary policy will be determined by politicians," said Per Hammarlund, chief emerging market strategist at Swedish bank SEB. Experts are worried that surging inflation could put a drag on economic growth. They're also concerned that money and investment could drain out of the country fast. Turkey has a high current account deficit, above 5% of GDP. That means it imports more than it exports and needs foreign finance to make up for the difference. It relies on short-term debt to keep the economy functioning, but this comes with the risk that the supply of funds can dry up quickly if investors want to get out. "Turkey becomes very vulnerable since most of the funding is done on a less than one-year basis," said Hammarlund. 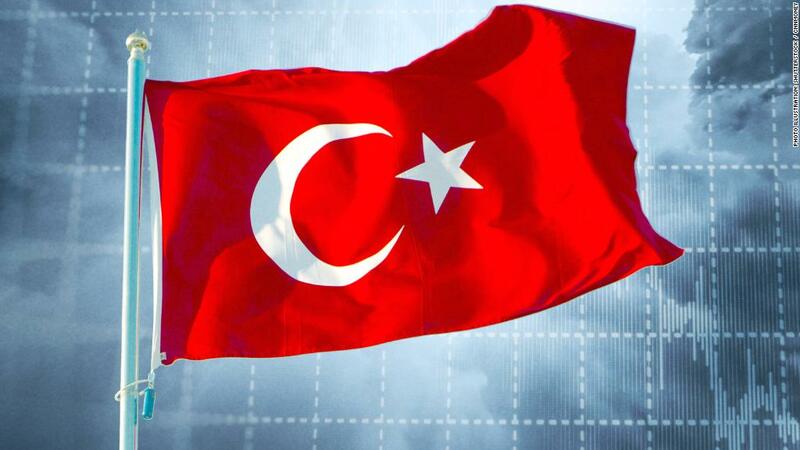 "Investors will be expecting additional measures to be taken to reduce vulnerabilities in the Turkish economy." Experts want the central bank to consider more rate hikes to rein in inflation and rising domestic borrowing, and put the currency on a more solid footing. They also want the government to pull back on lending programs and economic stimulus measures. Erdogan said on Wednesday that if reelected, his government would "take the necessary steps to reduce the current account [deficit] and lower inflation" and make financial stability a priority. Erdogan announced last month that Turkey would hold snap parliamentary and presidential elections in June, more than a year earlier than expected. This follows a referendum last year that transformed Turkey's parliamentary democracy into a powerful executive presidency, with the next president set to be handed sweeping new powers. The winner of June's vote will be able to use those powers sooner than planned. Erdogan was the leading favorite. But some analysts are starting to think his reelection isn't guaranteed. Turkish President Recep Tayyip Erdogan called snap elections for June. 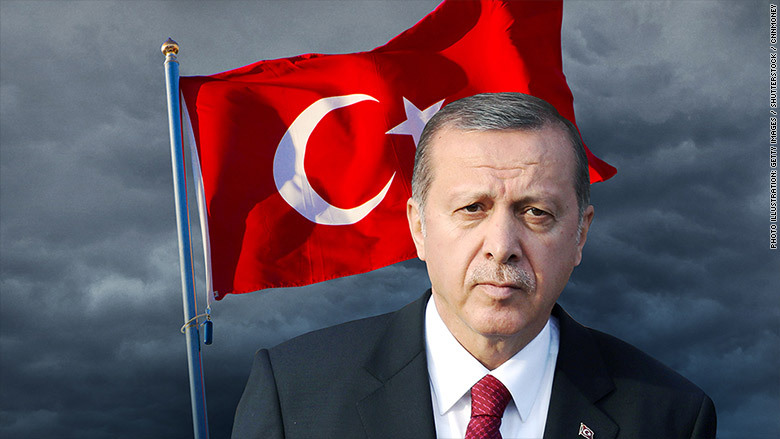 "This could really hurt Erdogan at the polls," said Timothy Ash, a Turkey expert and senior sovereign strategist at BlueBay Asset Management. "Turks really care about the exchange rate," he added, noting that the lira's crash could lead voters to question the president's economic competence. Erdogan, who served as prime minister from 2003 until he was elected president in 2014, has always boasted about his economic achievements, which benefited his lower and middle income electoral base. On Wednesday, he tried to shift the blame for the currency's woes. "The exchange rate fluctuations are due to global factors and are not related to Turkey alone," he said, according to state news agency Anadolu. -- Gul Tuysuz, Joseph Ataman and Laura Smith-Spark contributed reporting.